But instead of white snow, we have white sandy beaches and tons to do for you and your family. There are holiday-themed activities and events all across the coast for every budget. Here’s a little guide to help you plan your trip now. Consider a beautiful sunset cruise on a coast treasure, the Betsy Ann Riverboat. 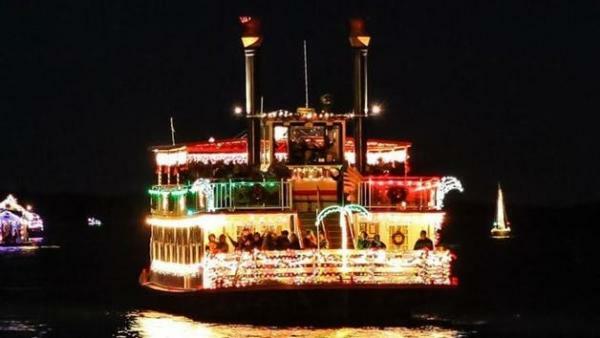 This old-fashioned paddle-wheel boat is decked out in Christmas lights and all of the trappings to make you feel like you’re riding with Saint Nick himself. The boat’s captain, Michael White, takes daily chartered trips out into the Mississippi Sound providing breathtaking views of the coastline and a meal along the way. It features both heated indoor and rooftop outdoor areas. You can choose anything from a private charter to a sunset eco-tour. The most basic tour starts at $22/person, and lasts two hours. Dinner cruises start at $45/person and there are also other specialty cruises with varying prices. Click here to find out more. 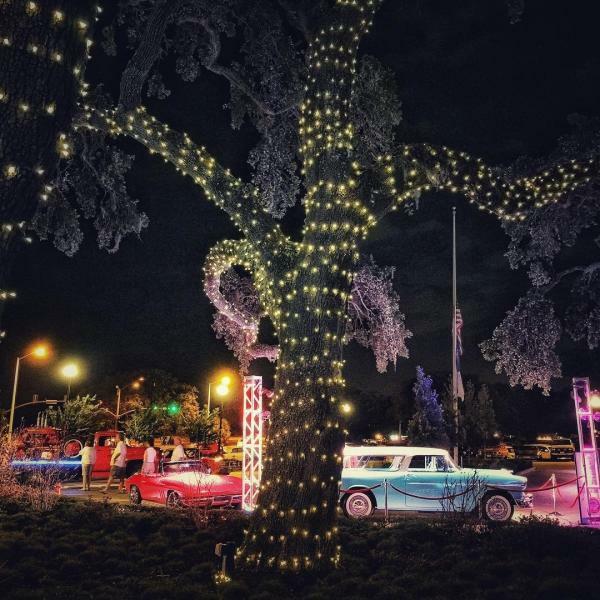 Experience the unique event that is being called one of the best holiday lights displays in the southeast. This new holiday tradition is taking the region by storm for the fourth year in a row. Thousands of people make their way through this elaborate display of lights, music, carnival rides, food, and much much more. Did we mention... photos with Santa?! 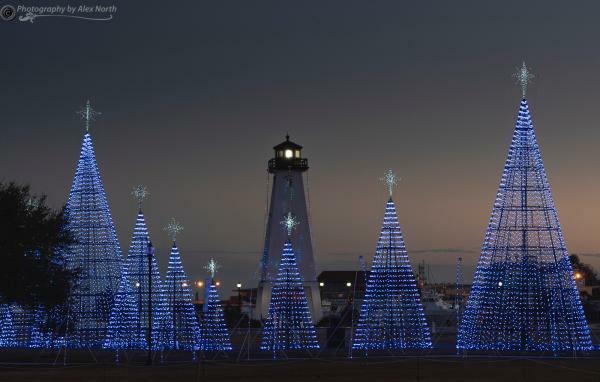 The Harbor Lights are open seven nights a week through December 30th at Jones Park in Gulfport. Closed on Christmas Eve and Christmas Day. Tickets can be purchased online to skip the wait, or onsite. Adult (13 and older) admission is $10.00. Child (5 to 12) admission is $5.00, and children 4 and under get in free. For more info, click here. 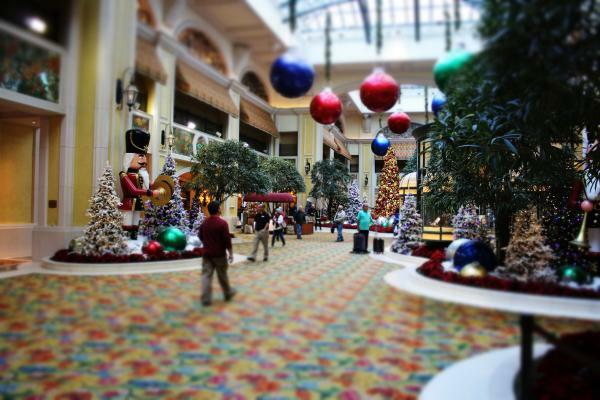 Each casino on the coast takes meticulous care in decorating for the holidays, and it’s free to stroll through the beautiful setups. There are snowy scenes built throughout the 12 casinos on the coast that are perfect backdrops for a Christmas selfie or even family pictures. The staff at each facility is so friendly, we bet they’d even take the picture for you. While you’re in the casinos, you can bet on your favorite teams in the new sports books, or take on some traditional gaming. If gambling isn’t your thing, there are dozens of restaurants and shops at each property. Click here for a list of the gaming facilities. Hop aboard one of the coast&apos;s hidden attractions. Step into a winter wonderland of tiny towns and model trains at the Gulf Coast Model Train Museum on Pass Road in Gulfport. There&apos;s plenty to do for everyone in the family, and admission is free, but donations are greatly appreciated! This indoor/outdoor attraction has been decorated to an extreme in festive lights that will make anyone feel like a child at heart. It’s perfect for the holiday season with hands on activities and even a ride-on train. The museum is open 12-9 Tuesday thru Saturday, and 5-9 Sunday and Monday through December 31st, (Christmas lights come on at 5 each day) closed Christmas Eve and Christmas Day. Click here for more. It may sound pretty simple, but believe us, it’s worth it. Just take a drive down highway 90 through each coast city. Make sure to take some detours along the way down to the beach in Pascagoula, Ocean Springs, Bay Saint Louis, and Waveland. 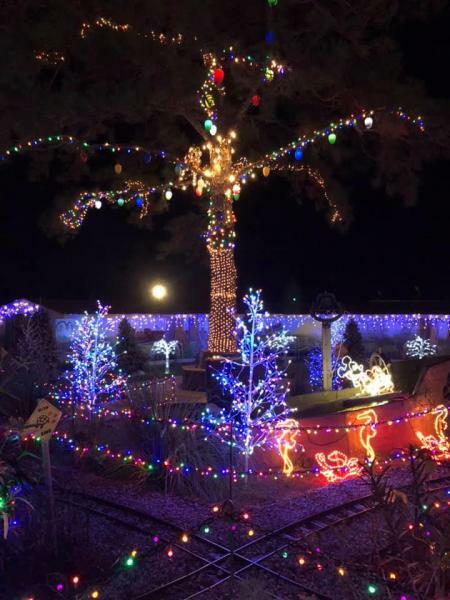 You’ll see lots of elaborate light displays gleaming from beautiful waterfront homes. Each city also has its Christmas decorations up and running putting everyone in the spirit of the holidays. No matter what you choose to do here on the coast, feel free to make a visit to the south Mississippi your family’s holiday tradition. And make sure you take lots of pictures and post them to social media using #MSCoastLife. Happy Holidays!